Her unique choice of models and animals brings out some amazing fairy-tale like pictures. 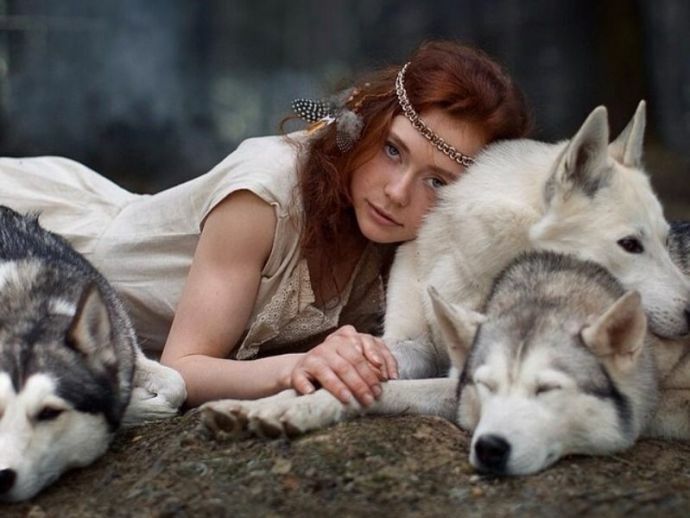 This Moscow-based Russian photographer Katerina Plotnikova created these stunning images with the help of real animals! Yes, fellas! You heard it right. And her unique choice of models and animals brings out some amazing fairy-tale like pictures. ??????? ?Самые сладкие сны с #любимойлюбовью Майком ???????? ???? Кто хорошо работает тот ест .